Amy Hartman (www.amyjhartman.net) has done voice-over promos for The Discovery Channel, Travel Channel, Animal Planet & The Food Network. She has appeared in the Discovery Channel’s Emmy Award-winning Titanic documentary. National spots include American Express, American Greeting Cards, Pittsburgh Paints, Pepsi, Levi Jeans, Clairol, McDonald’s, Bruegger’s Bagels, Virginia Lottery, Pennsylvania and New Jersey Lotteries, websites, computer games (including Werewolf Woman), museum kiosks, and many hospitals all over the country (including Children’s, Mercy, Allegheny General and Magee Hospitals in Pittsburgh). Giant Eagle, Foodland, Roomful Express, GNC, and Dicks Sporting Goods, to name a few. 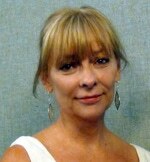 Amy, a member of SAG/AFTRA and Actors Equity, has guest lectured at CMU, Point Park, Hunter College, CCAC and NYU. She’s also produced over two hundred demos for actors, and many commercials, industrials and audiobooks, including The Diversity Dialogs with NPR. 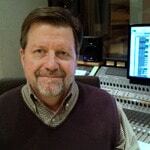 Jack Bailey ([email protected]) is Pittsburgh’s most experienced soundtrack designer & producer. Holding Bachelor and Masters degrees from Allegheny College, he’s taught audio production at Robert Morris University and, along with voice acting, Pittsburgh Filmmakers. He’s now developing and teaching a sound curriculum for CCAC’s Film Technician program, as well as teaching voice-overs in the Community Education program. Jack has engineered and/or produced well over 20,000 soundtracks — in Pittsburgh, New York, San Francisco, Dallas, and Nashville — including corporate communications, independent music CDs, broadcast commercials, television and radio programs, original music branding packages, theatrical releases/films, surround sound educational programs, infomercials, and books-on-tape. He specializes in sound for video/film and directing spoken word recordings, including the coaching and production of professional voice-over demos. NOTE: Once again, we’re folding our former VO Beginners’ Boothcamp into our Ongoing VO Lab on Wednesday evenings. Our Beginners’ Boothcamp’s schedule (six consecutive Wednesday evening classes for a fixed rate) proved to be too inflexible for some students. If you’re a VO Beginner, you’ll find that the Ongoing VO Lab‘s show-up-when-you-can, volume-discounted sessions will be more accomodating. We’ll answer as many general VO business questions as you can ask, and you’ll learn a lot from other, more experienced readers. ANNOUNCING OUR SPRING RATE DROP!! We designed this intensive lab is to be a continuation of our former Voice-Over Beginners’ Boothcamp or our voice-over classes at Point Park U., Pittsburgh Filmmakers, and CCAC, as well as the perfect opportunity for intermediate and experienced voice actors to expand their skills and develop material for their demos. You’ll get plenty of mic time in a professional studio, coached by Amy and Jack. Our Hartman-Bailey Ongoing Voice-Over Lab works like singing or yoga lessons: you can register for one to eight evening sessions. Don’t worry if you can’t start until later, or you have to miss an evening due to having to travel or working late or catching a cold. Your unused sessions are transferable into next semester or next year. Once you’ve used the sessions you registered for, you can extend your coaching by buying another block of sessions — or even pay-as-you-go for individual ones! The more sessions you buy at a time, the lower your per-session cost. With the Ongoing VO Lab, Amy &/or Jack will be at the studio each session evening that at least four students can come in to work. For this plan to succeed, we ask that you let us know whether or not you plan to attend by 3:00 PM on session days. WEDNESDAY Evenings from April 3rd…But jump in and join us any time! Just be sure that you register below to let us know you’re coming! (1 – 2) Sessions … Was $75/ea., now $65/ea. (3 – 5) Sessions … Was $70/ea., now $60/ea. (6 – 8) Sessions … Was $65/ea., now $55/ea. REGISTER NOW for the Hartman-Bailey Ongoing VO Lab!